Diagonal bars that scroll on the screen in a continuous motion, like a current or flow of energy moving around. This video loop can be used in all kinds of shows, lay the groundworks for an amazing show with it. 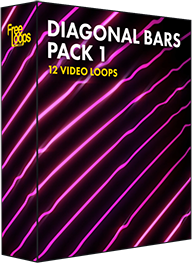 This video loop is part of Diagonal Bars Pack 1.